Dredd’s unimpressed with neutered adaptations. It happens so often when Hollywood tries to convert a comic book from page to screen: they compromise. The visceral and often violent nature of some of the comic world’s big guns is lost in order to make that 12A / PG-13 rating, so that you can make more money from the kids dragging their parents along. Sure, you might be able to get away with it for Spider-Man or Superman, who are both “nice guys” really. But then take a hero like Wolverine, and the transition isn’t going to be as smooth, as this is a guy that would tear people in half in the comics. Literally. But on-screen he’s thus far been neutered somewhat, and lamentably I doubt 2013’s The Wolverine is going to alter that any time soon. So we now come to Dredd 3D: based on a comic that is never afraid to shy away from ultra-violence. But does the Judge get his due this time around? Well… it’s an 18-rated film isn’t it? To many people, the mention of Judge Dredd will stir memories of a misfiring vehicle for Sylvester Stallone back in 1995. It wasn’t good. It wasn’t faithful. It was just an excuse to milk the machine that was Stallone‘s popularity. So techinically, yes, this is a reboot of what’s gone before. But you’d be missing out if you dismissed this film out of hand for that alone. It’s got a lot more in common with this year’s excellent The Raid: Redemption than it has with that 1995 hiccup. It’s a chin off… who’s more authentic to you? 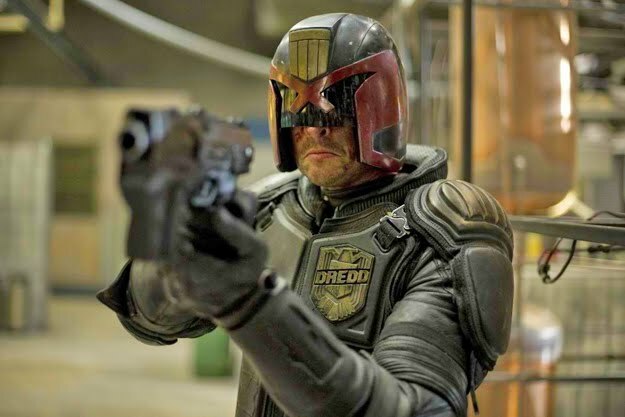 For the uninitiated, Dredd 3D follows the titular Judge Dredd (Karl Urban) as he dispenses justice on the future city of Mega City One. These “Judges” are effectively police who have been granted the powers of judge, jury and executioner should the situation merit it. The film follows Dredd over one day in which he has been charged with taking a rookie with psychic abilities under his wing (Olivia Thirlby) as they investigate a series of homicides at a colossal tower block. However, by doing so they stumble upon something much bigger and invoke the wrath of gang leader Ma-Ma (Lena Headey) who seals them in for extermination. Now, does this remind you of anything? Anything quite recent? Perhaps a film I mentioned earlier in this review? Yes, The Raid: Redemption is undeniably similar in plot to Dredd 3D. Both involve police being locked in a skyscraper and having to take down a gang-leader at the top of the tower. It’s actually quite alarming when you realise this. If they weren’t both in production simultaneously then you’d swear one was borrowing liberally from the other. However, don’t let this detract you from just how good Dredd 3D is. It’s different in enough ways to appeal in its own unique way. I might even go as far as saying that I preferred this to The Raid: Redemption! I’m just a sucker for a gritty, grimey cyber-punk setting with an arsenal of high-calibre weapons on offer, as opposed to The Raid: Redemption‘s (utterly gob-smacking) hand-to-hand fight scenes. But let’s go back to a point I raised earlier: how faithful is this to the source material? Whilst you’re never going to please every fan there is, I’m happy with how this turned out. Dredd 3D eschews normal conventions and gets graphic with its violence. People will be skinned, heads caved in and yes, there will be blood. It’s great to see director Pete Travis really embraced the ultra-violence of the comics and ran with it. 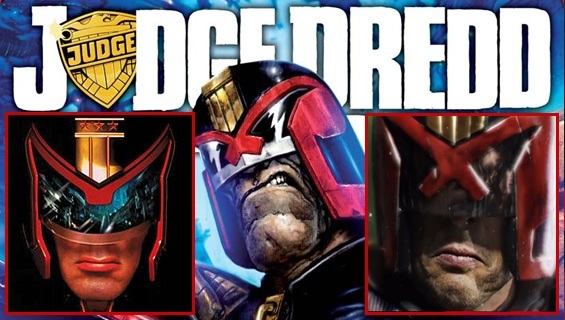 I wonder if this would have happened had Sony, Universal or Fox had the rights to Judge Dredd. I doubt it. With regards to the acting, you can crack as many skulls as you like, but if the acting is weak it’s going to achieve nothing. I’m happy to report that the acting is solid throughout, with all actors seeming to embrace their roles. Much has been made of Karl Urban‘s chin in the media; owing to the fact that he never removes his helmet. How can an actor act in this way you ask? Well, Tom Hardy did fabulous without half of his face visible, and Urban does a similarly great job. He churns out wry one-liners and like Hardy‘s Bane is an imposing presence. You see him on-screen and accept that he is the Judge – a man to be feared if you’re up to no good. Similarly, the supporting cast of Olivia Thirlby (Juno), Wood Harris (The Wire) and Lena Headey (300, Game of Thrones) are all great at embodying their roles. What I like is that none of these actors are huge Hollywood icons; they’re essentially unknowns in the grand scheme of things. And this works in the film’s favour, as we have no pre-formed opinions. And I can’t pass judgement without talking about the visuals. Whilst they’re nowhere near the level of eye candy seen in Total Recall, they’re done very well. 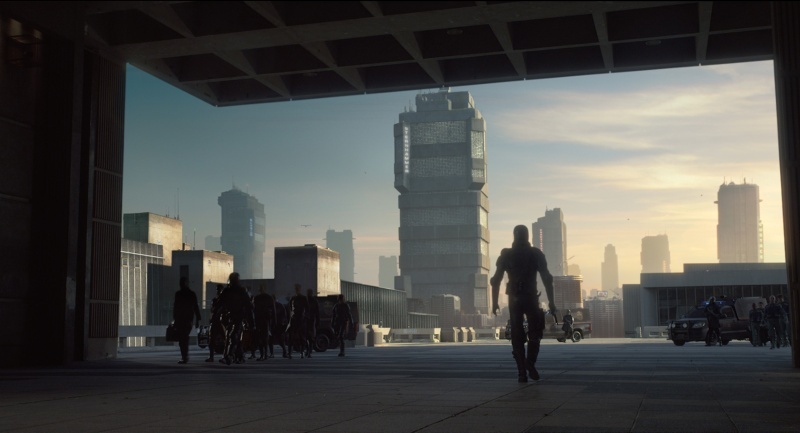 The film was mostly shot in Cape Town, South Africa, and Mega City One was modelled on the metropolis of Johannesburg (let’s try not to draw any parallels between crime-ridden Mega City One and Johannesburg though!) The film looks grimey, dark and oppressive. This is probably why it doesn’t look as bright and vibrant as Total Recall‘s cityscapes; it’s not meant to. Fans of Zack Snyder‘s penchance for slow motion will also be in luck, as there’s enough of this in the film. Thankfully it’s not overused though and has a legitimate reason for being there: the drug known as “Slo-Mo”, which makes the user feel like time is passing incredibly slowly. A clever idea. 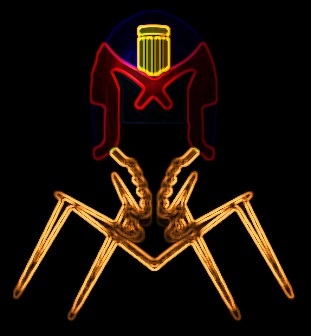 The Phage: I am the law. Ultimately, if you can look past Dredd 3D‘s similarities to The Raid: Redemption in terms of plot, then I think you’re in for a treat. In fact, I urge you to try not to compare them to one another, as they’re both great pieces of film-making that have unfortunately landed in cinemas in the same year. The film’s take on a dystopian, crime-ridden future is a compelling one that doesn’t relent during its running time. 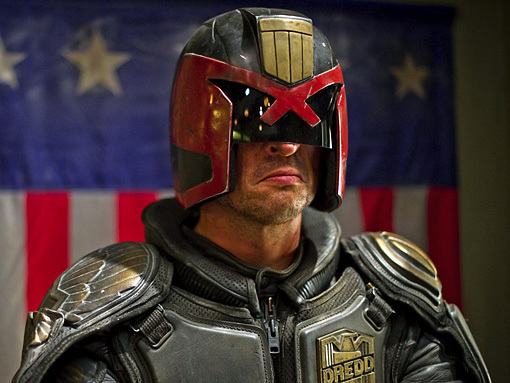 I felt engaged the whole way through, thanks to the gripping portrayal of Judge Dredd by Karl Urban. The film is quite minimalistic and delivers relentlessly. He is the law. All hail. And if you’re a fan of Judge Dredd, action films, ultra-violence or seeing an accurate portrayal of a comic book, then look no further than this. The current trend with comic book movies is to make them “gritty” and “real”. Despite Dredd 3D‘s futuristic setting, I’d say it achieved this aim better than other films that have aimed squarely for this goal. So, Mr. Jackman, it’s over to you: will we be getting the Wolverine we’re all baying for next year? One that’ll finally use those claws in the way that the comics intended, or are we staring down the barrel of another pale imitation of the one they call Logan? So bub, what’s it gonna be? 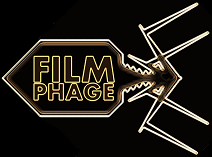 This entry was posted in Review and tagged 2000AD, comic book, drugs, futuristic, Judge Dredd, Karl Urban, Lena Headey, Olivia Thirlby, review, slow motion, Sylvester Stallone, The Raid: Redemption. Bookmark the permalink. This helps make up my mind. I’m gonna check this out. I’m a big fan of Karl Urban anyway. Highly underrated actor. This was a first for me – not too familiar with his past works. In a weird way, this has all got me excited for the Robocop reboot… it just… might… work! ?